A group of us were actually on our way to Café Giulia for a re-review but because it was so busy we decided to go elsewhere. I was disappointed because I had so been looking forward to Giulia’s broad menu and fantastic food. The service was a mixed bag initially with a bit of a rushed start from one of the waitstaff. Thankfully she warmed to us and her hospitality seemed to improve and the other staff we encountered were all fantastically friendly. The interior is small, cosy and warm which is perfect for winter. Unfortunately it was too busy and we had a dog in tow so we grabbed one of the two outside tables. The coffee ($4) was the perfect warming start. An organic house blend, we could only agree with the opinions of those who have visited before us: it is superb. There is also bottomless leaf tea ($5) available in a variety of flavours. 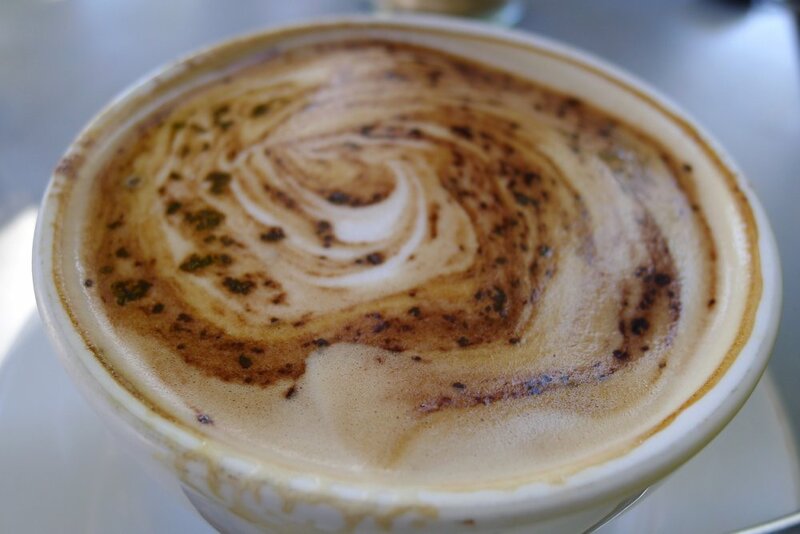 Freshly brewed chai latter ($4.70), mocha or hot chocolate ($3.70), iced coffee, iced chocolate, iced mocha or coffee frappe ($5 each) round out an amazing bean and leaf-centric beverage menu. When it comes to smoothies ($6.50) you have the choice of banana or berry with skim milk, honey and yoghurt. 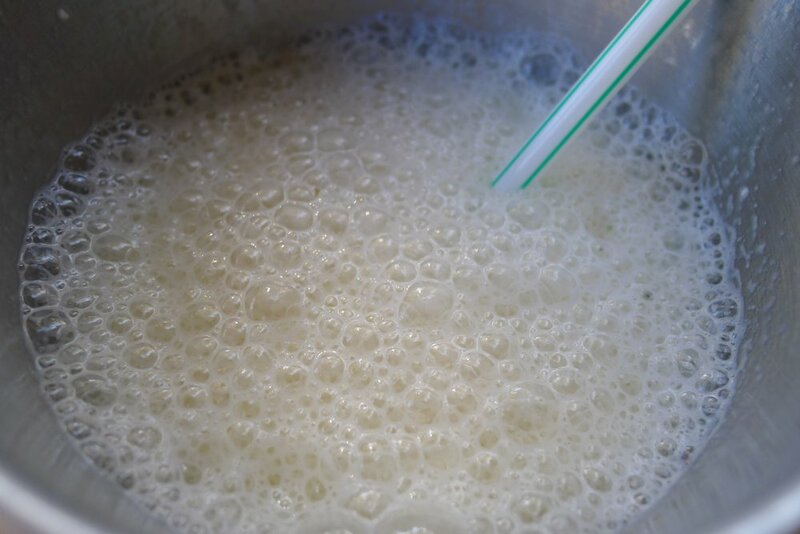 My banana smoothie was not too thick which made it easy to drink but best of all it tasted amazing with more fresh banana flavour than you could shake a stick at! Onto the food and boy were we all blown away. 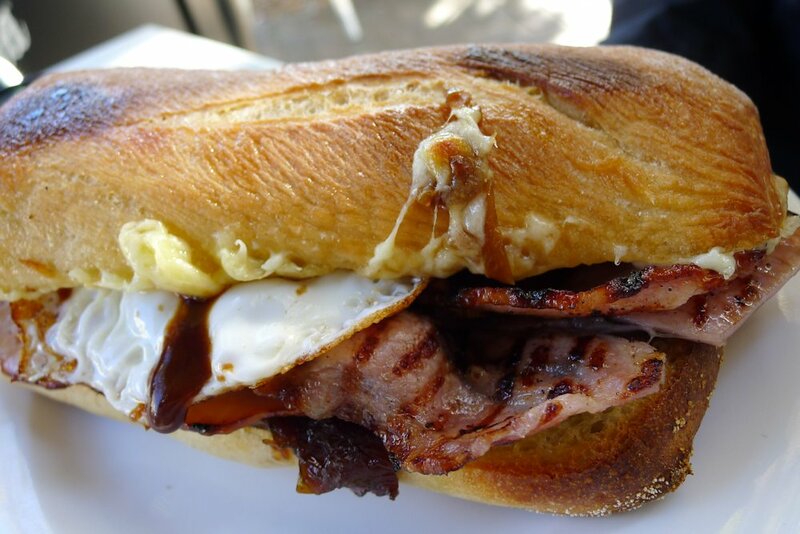 I had heard about the bacon and egg rolls ($8) but they were even better than we had hoped! Go all-out and add onion (50c) and cheese ($1) for probably the best version you’ll try anywhere in Sydney. 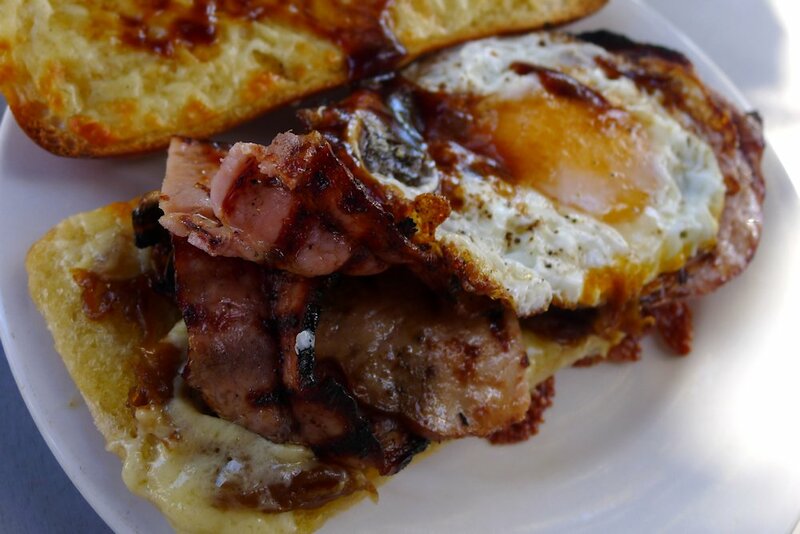 The rolls themselves are massive, soft and delicious but they are filled with the most indulgent mixture of crispy bacon, yolk-runny egg and cheese that you’ll wonder how it’s taken you so long to find such a superb version of this dish. Tomato sauce, BBQ or HP. Just when I thought our experience couldn’t improve, my guest who ordered the buttermilk pancakes ($15 or $17 with bacon) proclaimed that this was the best dish she has encountered on her SoS exploits with me. 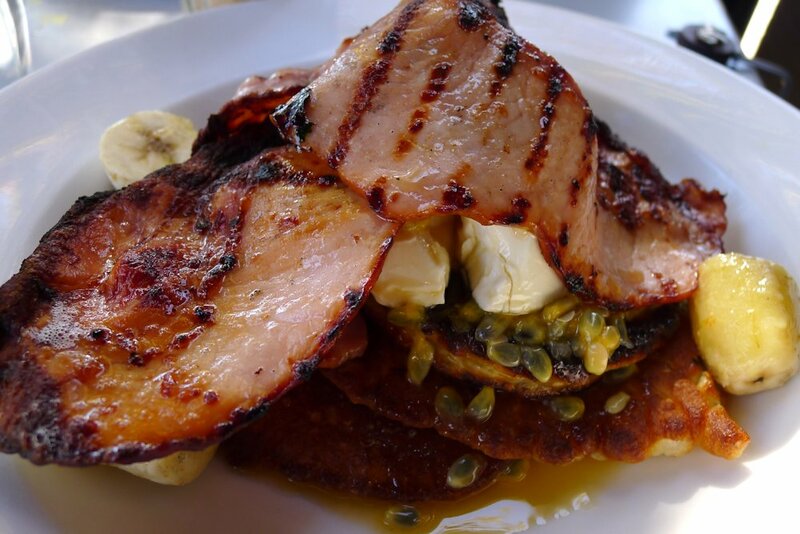 Plenty of maple syrup on fluffy pancakes with marscapone, banana bacon and… passionfruit?! It works and it is outstanding. Last week I needed to order two dishes to satisfy my hunger. Not so this week! 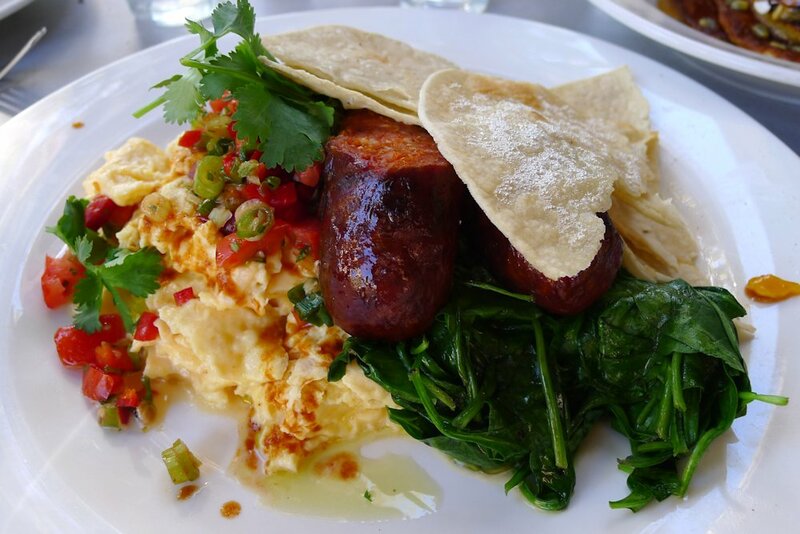 The Mexican eggs (huevos rancheros) and spinach ($16) is served with plenty of scrambled eggs topped with a spicy salsa. I would have preferred the salsa to have been room temperature as opposed to cold but that’s just my personal preference. The spinach was scrumptious and the chorizo was one of the best I’ve tried: thick, spicy and with a great snap as it was broken. This is definitely a dish for those who like their food with heat. The staff also supplied two bottles of extremely hot chilli sauces for those who want even more kick. 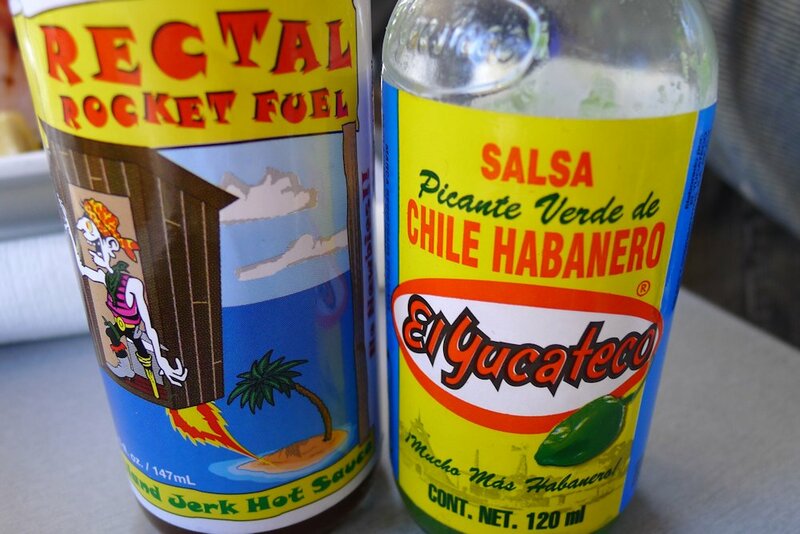 I tried both and can recommend a few drops of the green habanero sauce. fresh seasonal fruit with sheep’s milk yoghurt ($10), eggs Benedict ($16), corn fritters with roast tomato, haloumi, tzatziki and rocket ($16), welsh rarebit & asparagus ($14 or with fried egg $16) and plenty more. Many of the dishes can be ordered as a half serve which is a great service. 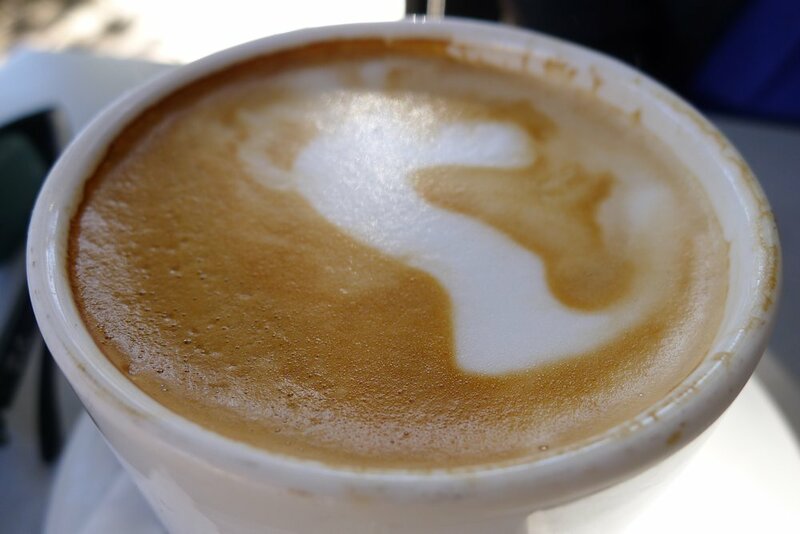 Be sure to add Bar Mattino to your list and with winter descending, drop in for a roast as well! 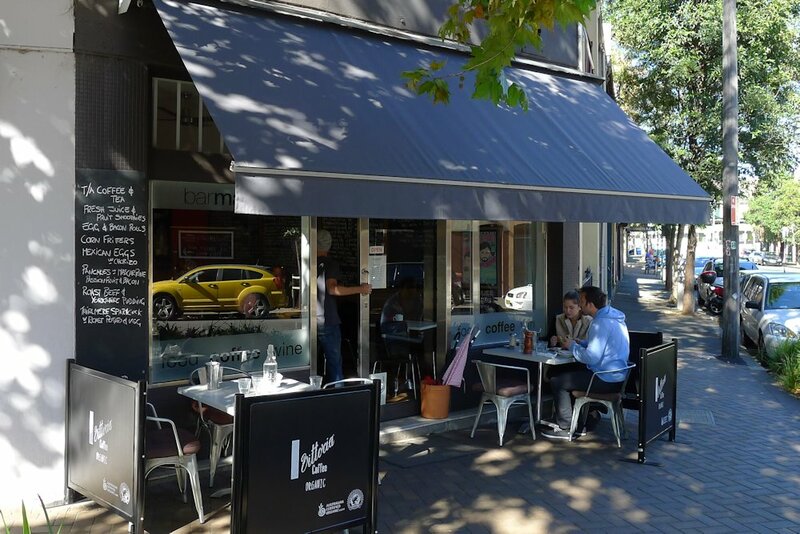 This entry was posted in Sydney - CBD and tagged Disabled access, Dog friendly, Free range eggs, Gluten free options, Organic Options, Outdoor seating, Parking close by, Reasonable prices. Bookmark the permalink. Mexican eggs were brilliant – thanks for the recommendation. Will no doubt try more some of your ‘top scorers’ shortly.